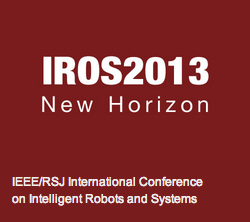 IROS 2013 will be held in Tokyo, Japan, during November 3-8, 2013. IROS is unique and prestigious conference towards a new era of intelligent robots and systems to meet the needs of the changing times. IROS2013 agenda on mobile is powered by Conference4me.